A label applicator will help to streamline your business, speed up operations and lower costs over a long period of time. To get the most out of your label applicator it should be a versatile machine. This will ensure that it is an asset to your business. If you need application specific equipment finding the right applicator can be difficult. For the most part though something that can apply pressure sensitive labels will work well. This will ensure that consistency delivers across the board for your brand. A pressure sensitive label is like a high-tech sticker. Made from either paper, foil or film and the use of a wide range of inks. This type of label has no need for heat, solvent or water to make it stick. They need only the slightest amount of pressure to apply them to the surface of a product. Pressure sensitive labels are applied either by hand or with a label applicator. 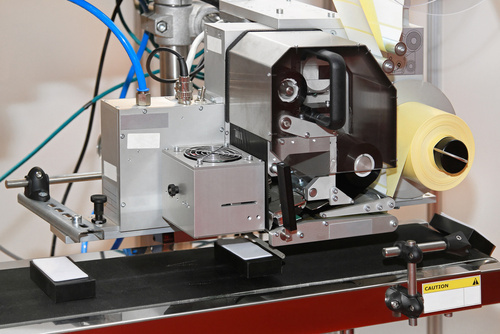 A label applicator automatically applies labels to products. The machine takes rolls of pressure sensitive labels that are then applied to bottles, containers, packages and drums. The labels can either be printed on beforehand or printed on directly by the label applicator. The application machine is a popular choice of machine manufactured to meet the needs of the business. Customised to meet certain specifications applicable to the business, whilst having the ability to remain flexible. This ensures that it configures with different types of products and handling systems. Automated label applicators for pressure sensitive labels are far more efficient when compared to sleeve, cut-and-stack or mould labels. Productivity increases dramatically and operating costs lower. If the machine chosen is well made, operates fast and accurately and is easy to use it will recover its costs over time. A return on investment should also be made decreasing the need for manual labour. There is a whole range of different label applicators to choose from. The one you go for will depend on your budget, your needs and your expectations. This type of label applicator is integrated into your current product handling systems. This makes it part of your existing conveyor. This type of machine requires an operator to place products inside a jig. The labels are then applied by the operator through the use of a foot pedal or sensor inside the machine. A stand-alone label applicator uses a flexible design to give it a great deal of versatility. 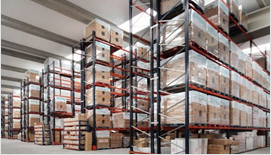 The machine can be integrated into existing and third-party product handling systems. They can even be installed onto a conveyor or onto another machine.